The world and how we communicate and share information has changed completely from the way we did things in 1961 – the 100th anniversary of the start of the United States Civil War. This year, the 150th anniversary, we have blogs, websites, and many other online resources to learn from and explore. This presents a unique opportunity in human history for those of us alive today. We can drill down into local affects of war without leaving our homes. We can read letters and journals that used to be locked up in private collections or in rare book archives in libraries. We can see family histories online thanks to the hard work of thousands of genealogists and tale keepers in thousands of families from all walks of life. We can see high resolution photos of monuments, museums, and battlefields. We can watch panel discussions and lectures online even if they are occurring half a nation away from our homes. This is a great time for history buffs to be alive as the number of online resources multiplies every month. Here are a dozen resources that may help round out your study of the Civil War and are worth sharing. United States Sanitary Commission Processing Project: A Sense of History – The New York Public Library – NYPL is currently working on arranging, describing, and preserving the records of the United States Sanitary Commission, a civilian organization that supported Union forces during the war. Its records tell the stories of thousands of individual soldiers and their families, illuminate the development of wartime humanitarian aid and medical treatments, and highlight work by women in the war. The Civil War at 150 – Smithsonian Magazine – Scroll through the archives of Smithsonian magazine and learn how the country split and reunited after four years of bloodshed. Abraham Lincoln and Jefferson Davis: Contrasting Leaders – The National Museum of American History – The Price of Freedom: Americans at War is a unique blend of original objects, first person interpretations, video presentations, and interactive experiences. It gives visitors a comprehensive and memorable overview of America’s military experience and the central role it has played in our national life.Advisory: This exhibition includes graphic images of war and its casualties that some visitors may find disturbing, or inappropriate for young children. Virginia Statewide Calendar of Events – The Virginia Sesquicentennial Commemoration of the American Civil War is a year long commemoration with activities and events all over the state. This calendar of events includes speaker series, walking tours, and museum events. A House Divided – A blog on all things Civil War from The Washington Post – “A House Divided” is a blog dedicated to news and issues of importance to Civil War enthusiasts across the country and around the world. Blogger Linda Wheeler and a panel of respected Civil War experts will debate and dissect historical issues and explore new concepts. Wheeler will also report on conferences and seminars, find little-known battlefields and sites to explore, keep track of local, national and international stories of interest to readers and provide advice on upcoming events. Civil War Sesquicentennial – The National Building Museum – The terra cotta frieze, which was designed by Bohemian-born sculptor Caspar Buberl (1834-1899), depicts a continuous parade of Civil War military units represented in six themes–infantry, cavalry, artillery, navy, medicine, and quartermaster. The entrances centered on each elevation are defined by projecting brick archways. The main frieze of each entry is ornamented with carved panels depicting the military units of the Civil War. The western entry is the Gate of the Quartermaster, the southern entry is the Gate of the Infantry, the eastern entry is the Naval Gate, and the northern entry is the Gate of the Invalids. Don’t miss the high resolution photos available here. Onward Southern Soldiers: A prelude of things to come… – The Posterity Project – Today marks the 150th anniversary of the start of the Civil War, and over the course of the next four years you will probably read countless stories about how this major event in United States history will be remembered. One such story that has yet to be told is the role that religion played within the Army of Tennessee, C.S.A. Though scholars have written broadly about how religion influenced the actions and outcomes of the Civil War, no one has taken the opportunity to delve deeply into the religious spirit of the Confederate Army of Tennessee — until now. The Civil War: Blacks and Whites, Soldiers and Generals – CSPAN (Video) – The first Capital Book Festival was hosted by the Fairfax County Public Library Foundation in its tenth anniversary year. On a panel titled The Civil War: Blacks and Whites, Soldiers and Generals, the panelists talked about their books on the Civil War. After their presentations they answered questions from members of the audience. Edward Ayers wrote In the Presence of Mine Enemies: War in the Heart of America, 1859-1863, published by W.W. Norton and Company. Gary Gallagher wrote Lee and His Army in Confederate History, published by University of North Carolina Press. Ira Berlin wrote Generations of Captivity: A History of African-American Slaves, published by Belknap Press. Accessible Archives – The Civil War, Parts I-VII – Coverage in relation to the Civil War is both informative and eclectic. In-depth articles discuss trade with foreign countries, and how their governments viewed the United States in light of the Civil War. There is information on specific industries of the time, such as the oyster trade in New York. Slavery is an important topic, and countless editorials discuss pre- and post-war attitudes from both sides, as well as troop movements during the war. The collection is in five parts: A Newspaper Perspective, The Soldiers’ Perspective, The Generals’ Perspective, A Midwestern Perspective, and Iowa’s Perspective. North Carolina Civil War 150 – Digital Civil War Collection – Read letters to and from soldiers during the course of the war. Examine published regimental histories. Search related state documents and selected governors’ correspondence and letter books. 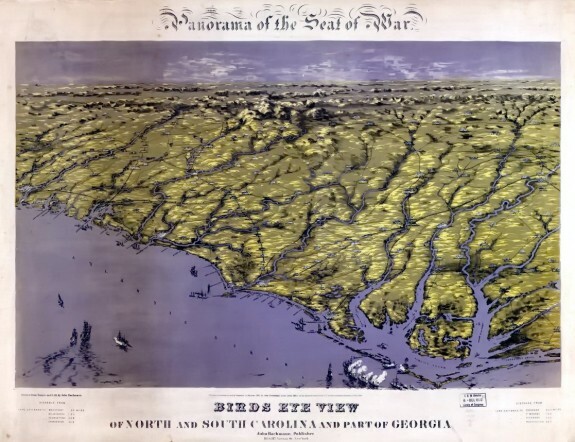 A growing number of resources relating to the Civil War are being digitized by the North Carolina State Archives and the Government & Heritage Library at the State Library of North Carolina and are made available through the North Carolina Digital Collections for historians, researchers, students, genealogists and other interested parties. How Civil War Photography Changed War – Discovery News – Photography had been around for over 20 years before the Civil War, but its flowering began just before conflict broke out. Photography during the Civil War had a wide-reaching impact on the public’s perception on everything from their leaders to the nature of warfare. Images of everyday life are also depicted for the first time in the Civil War. Peter Hedlund – Great list. Allow me to also plug a project I work on: The Encyclopedia Virginia project has a ton of free, scholarly-authored and fact-checked Civil War articles. Joseph Phealn – Another site which readers may not know about but which contains free, high quality educationa resources on the Civil War is EDSITEment from the National Endowment for the Humanties. The American Civil War – The American Civil War presented day by day as it happened 150 years ago.